Bet you didn’t expect to hear from me so soon! (yes it is January) and yes I am writing up a post for you, already broken the rule from my last post opppsssie! But right now, this post just felt ‘right’. I am just sat in my bed, after sleeping for the majority of the day, because this morning I had a deadline. A deadline that kept me up all night, and has kept me on edge for the last few months. I’m writing this post because I feel it is important. Most people love the relief that deadlines give them, but when I hand in work I become such an anxious MESS. I constantly worry about the fact that it could ruin my degree score, I worry about accidental plagiarism, I worry I forgot something big and important. I manage to make every single scenario up in my head, that I just don’t deserve to succeed. So, right now, I’m sat alone, and probably won’t really have any human interaction all week, until my housemates come back on Saturday. I’m really sad. I’m really anxious, it’s not okay. Today I found myself talking to all sorts of strangers today, just because I wanted some human face-to-face interaction. I had a big chat to the printing man whilst getting my work printed, it was nice. I feel really disappointed in myself about the work that I handed in today. There is nothing worse than disappointment. Luckily I feel proud of half of it, but the other, not so much. On one hand I am happy it is over, but on the other hand it just wasn’t as good as I would have liked it to have been, it isn’t what I visioned in my head. I can’t seem to drop this disappointment, even when I tell myself to ‘just forget about it’. I really do try to not let the nasty OCD monster get the better of me, but I really do worry that he won this time. I need to try not beat myself up too much about it all, I had a lot going on, I began a new medication that pretty much wiped two weeks out of my life (just before the deadline too) because I couldn’t stop sleeping. I just need to hope that the medication begins to work it’s magic, and give it my ALL next semester. What I am trying to say is, that having a healthy, mental wellbeing during University is SO important. And if you don’t have a healthy mindset, you just are not going to perform as well as you should. If you feel that you just aren’t coping mentally PLEASE do talk to your University, it is so so so important that they know. If they don’t know about it, they can’t do anything, and they only want you to succeed, they don’t want to see you do badly. I’m quite lucky because I think all of my tutors know about it, and they really do everything they can to try and make things smoother for me, I can’t thank them enough. If you don’t want to go directly to your University, you could see your doctor, ask them to write you up a note to give to the Uni. There is so much support out there. 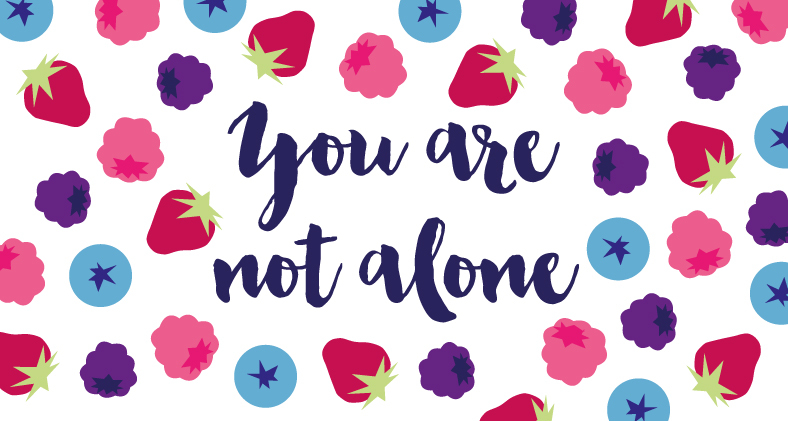 If you are scared of the doctors, and don’t like going to them, most universities have a counselling service (I believe….. mine does anyway) and whilst I haven’t tried the service out, I do know that even just talking to someone and opening up about your problems can be really helpful. I choose not to go to it, simply because I feel I need therapy, rather than counselling, but the counselling service would be able to help out with all sorts of wellbeing issues, so if you aren’t happy about ANYTHING, pleaaase do go and talk to them. My step mum always tells me. You. Need. Fresh. Air. Kayleigh. She is right. It is so important to go outside, I pretty much was cooped up inside for the entire of last week, it was horrible. It is so easy to get trapped and stay inside when you are stressed, constantly attached to your laptop / work, but seriously, even just standing outside for 5 minutes and breathing in that air, and just taking in that moment, and letting all your stress leave your body. Read something. I am always so jealous of how much Aisling gets to read, I would love to be able to sit down each night and have a dedicated slot to just read. I love the escapism. There are also some fabulous books out there that can be really helpful too, such as Reasons to Stay Alive by Matt Haig. You aren’t alone in this, we can all help each other. Direct message me if you want to! Email me! I would love to talk and help out anyone that is struggling, we really are all in this world together. I’m off to make some dinner now! Since I haven’t eaten a single thing today, yes it is nearly 8pm… guess that is what happens when you sleep all day! Previous Post LIFESTYLE | Happy New Year! I hope that someone takes away so much from this post, in fact. I'm 100% sure that someone will. I'm sure you're work will be brilliant too, I hate that horrible feeling though. I hope this year gets easier for you and you are kind to yourself and give yourself the time and space to enjoy it! This post couldn't have come at the right time, I'm currently on work placement/in my first year at the same time and sometimes I feel like I'm not doing well enough compared to the people around me. Its hard, really hard and everyday is a struggle and its getting to the point now where I just don't want to go anymore. You've really opened my eyes with this post, maybe a bit of fresh air will help me out or even speaking to someone. Oh Kayleigh I just want to come to Leeds as soon as I'm back in Yorkshire mid-week to give you a big hug and to tell you everything is going to be okay and take you to Costa to make you feel better. I know first hand about that voice in your head telling you that you can do better and you're going to fail, and it's horrible. But I also have first hand experience about the help that your university can offer you. After I was put on medication in the middle of my second year exams, my uni was so supportive and I was allowed to sit them later. I was sick, fatigued, and not sleeping more that a couple of hours a night, and thankfully my uni understood and helped me out. I didn't do as well as I could've/should've done in the end, but I did get the support that I didn't even know was out there. And I did way better than I would've done if I was forced into sitting them at the time. As far as I'm aware, every university has some sort of support system for those who need that help, and if you're not sure where it is, you just have to go to your SU and they usually have all the answers. I hope people take something from this post because it's beautifully written and really sums up what a lot of people struggle with. Even though it's difficult to open up, you can't get help without telling someone. You are one of the loveliest people I've ever had the pleasure to meet/talk to and you deserve every bit of happiness and goodness in the world. I really hope you do well with your final few months at uni! This is such an important post darlin'. Mental Health and keeping yourself happy and putting yourself first at university is rarely discussed. Most people think that it's natural to feel overwhelmed by the workload and it is, but that doesn't mean that you should suffer if you're struggling. UNI'S HAVE SO MUCH SUPPORT AVAILABLE FOR STUDENTS. I'm so proud of you that you made that deadline though, and you have another chance next semester to give it your absolute all <3 I'm always here if you need a chat boo, always. This is a brilliant post Kayleigh and well done you for being so honest. I have always suffered bouts of anxiety and agrophobia and so I knew just what you meant when you said that you have to push yourself to go and 'do the thing'… It's also important not to beat yourself up if you can't do the thing yet either. Hey lovely, this was such a great post – I loved it. I hope that you are feeling better about your submission now, I am in the same boat as you usually – I beat myself up about the smallest of things, even if they were from a week ago, or even 5 years ago! Well done for writing this you little beaut, I really want to get my hands on that book and I have to say nothing helps me more than fresh air! I know you're probably stressed about what you handed in but remember beating yourself up about it won't achieve anything! I love this post so much. I also get incredibly anxious when handing in assignments – I got given a really low grade last year due to what my uni thought was accidental plagiarism, yet in the end was written off as "lack of originality." I now worry about it happening again every single time I write an essay! I agree about talking to your university, as I am currently seeing a counsellor within my uni for my anxiety and words can't even explain how much it's helped me.